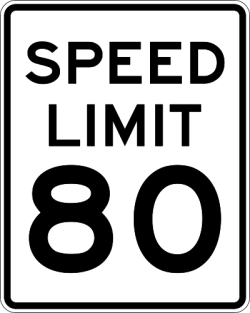 You’ve probably already seen by now that the Maryland State Senate passed a bill to raise the speed limit on..
Maryland Democrats are using the need for infrastructure spending as an excuse to not to support Governor Larry Hogan’s proposed..
After voting for Transportation Trust Fund transfers every year under Martin O’Malley, Democrats have decided that now is the time.. The Maryland Public Service Commission ruled Wednesday that the ride sharing service Uber, is a “common carrier” and should be regulated as..
Today, Maryland’s gas tax went up again. This time, a one-half of one-penny increase due to the General Assembly’s decision.. Governor Martin O’Malley did a Reddit AMA (Ask Me Anything) yesterday, and he fared about as well as his health.. Longtime readers know that I’ve long been crusading for privatization of state construction projects and transportation systems. So I was..
Ninety-six percent of members of the Maryland House of Delegates, who voted for Governor Martin O’Malley’s 87 percent gas tax.. 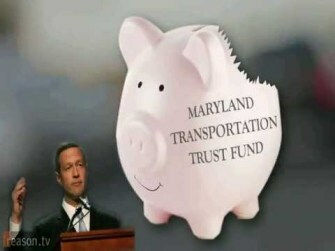 The brunt of Governor Martin O’Malley’s new $3.4 billion gas tax proposal to increase funding for Maryland’s transportation needs, will..
Another big episode of Red Maryland Radio came at you tonight on the Red Maryland Network. Listen to internet radio with redmaryland..
Join us tonight at 8 PM for this week’s installment of Red Maryland Radio. We’ll be discussing: The Anne Arundel County Council.. The folks over at Americans for Prosperity have released a poll on the gas tax proposed by Maryland Democrats, and to the..
Maryland Senate President, Thomas V. Mike Miller is proposing to apply a sales tax to gasoline in an effort to..
Higher Taxes & Tolls – A Hobson’s Choice? 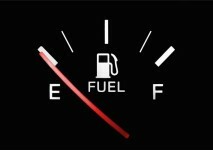 Guest Post from Delegate Mark Fisher There has been much debate in Annapolis this Session concerning tax hikes on gasoline,..
Martin O’Malley’s Energy Policies: Dumb, Green, and Dangerous. Martin O’Malley’s “goofy, “absurd,” prevarication linking Bob Ehrlich to the oil spill in the Gulf of Mexico is a deflection.. There was much consternation when the recommendations came out last year for the construction of the Baltimore Red Line. The..
You know that I have gotten on my privatization high horse more than once before, but it looks like on.. It was bound to come to this. It always does. Instead of responsibly cutting spending in order to protect what..
Because they care so much for “working families” the O’Malley administration is set to impose fees on EZ Pass users..
Let’s end the year on a real down note, with the idea from Oregon that Big Brother is going to.. I have been calling for some time now the privatization of state assets, mainly as a way to improve services.. The Maryland Transit Administration continues to show day in and day out that failure is an option in Maryland State.. Somehow, the ever sanctimonious Michael Dresser seems to think this is a feasible alternative to a new Bay Bridge: Perhaps,..
Cleaner Energy through more Lane-Miles? This is the kinda thing that, if it works, is really cool: Researchers at Worcester Polytechnic Institute have just done..